The midterm elections are over, but Donald Trump is continuing to stoke America's fears about immigration. Foreign Affairs Minister Chrystia Freeland talks about Justin Trudeau, Donald Trump and trust. How Three Arms, a thriving Newfoundland town, was wiped out by the death of a single soldier an ocean away during the First World War. This morning, the U.S. president signed a proclamation that seeks to strip migrants of their legal right to claim asylum if they enter the country anywhere other than at an official border crossing. 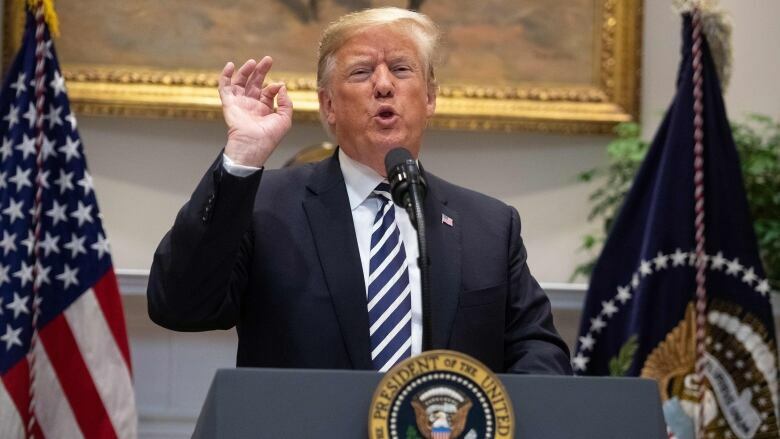 "The continuing and threatened mass migration of aliens with no basis for admission into the United States through our southern border has precipitated a crisis and undermines the integrity of our borders," states the proclamation. It asserts that a "significant majority" of those who will try to cross the frontier in the coming weeks and months "will not be eligible" for the protections offered to legal refugees. 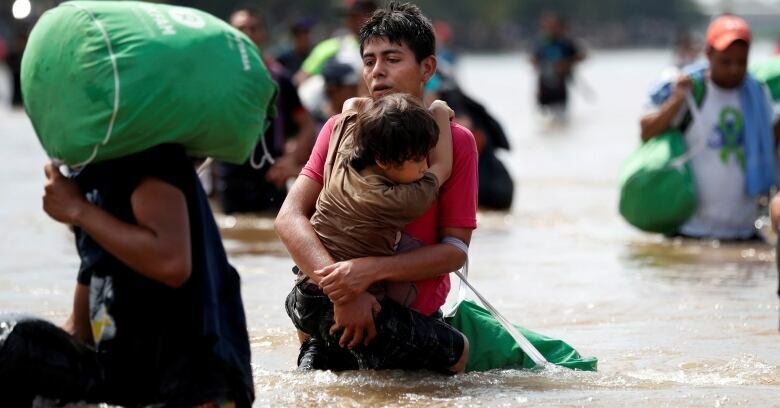 Under both U.S. and international law, people who fear persecution or torture in their home country have a right to file a claim for asylum and undergo a formal assessment, regardless of whether they do so as they arrive at the border or from inside America. Trump's proclamation suspends that right "for a limited period," in what he describes as a bid to "channel" migrants to legal ports of entry so that they enter the United States in an "orderly and controlled manner," thereby protecting an "overwhelmed" immigration system. The proclamation cites past emergency measures to stem the flow of Haitian boat people in the late 1980s and early 1990s as justification for the new ban. But the American Civil Liberties Union and other groups have already labelled the rule change "illegal," and indicated that they will challenge the proclamation in court. The Trump administration is already facing a class action lawsuit over how it handles asylum claimants. The Southern Poverty Law Center says that the U.S. Customs and Border Patrol has been actively trying to thwart people from making claims since early June, stationing agents on the middle of bridges to turn people away before they reach the frontier, or forcing them to wait — sometimes for days. Last week, at the crossing between Ciudad Juarez, Mexico, and El Paso, Texas, one group of 20 immigrants from Cuba, Honduras, Mexico and Russia spent several days standing in the cold and rain after U.S. officials told them they were too busy to process their requests for asylum. The ACLU is skeptical about such government claims, noting that its representatives found empty waiting rooms when they arrived at the border. It also points out that the CBP — now the largest law enforcement agency in the country — has twice the staff and budget it did 20 years ago, yet processes 1.1 million fewer people at the southern border than it did in the year 2000. The caravan is now headed for the border crossing at Tijuana, Mexico, almost 2,600 kilometres away along a heavily travelled highway. They could have opted to cross at McAllen, Texas — 1,600 km closer — but the longer route was deemed safer, as it skirts the worst of Mexico's drug-war zones. It's not clear how many people actually intend to go the distance. The last migrant caravan to the U.S. in April had dwindled to just 400 people by the time it made the border. Those who do end up presenting themselves will first have to pass a border patrol assessment of whether they have a "credible fear" of prosecution or torture before they can make a formal application. The migrants, most of whom are from Honduras, Guatemala and El Salvador — the top three source countries for such admissions to the U.S. last year — will have a decent chance of making such an argument based of the level of crime and violence back home. In the fiscal year ending in September 2017, just over 60,000 people were deemed to have "credible fear" cases, but only a fraction of them ended ended up obtaining refugee status. Between 2007 and 2016, the U.S. has granted asylum to around 20,000 people a year on average, well below the peak 38,000 in the year 2000. In 2016, citizens of 98 different nations were granted asylum, with the largest number — 22 per cent — coming from China. And even as Trump continues to focus on migrants, one aspect of his plan to "seal off" the U.S. border has been quietly downgraded. On Tuesday, the day of the midterms, Defense Secretary James Mattis instructed the Pentagon to stop referring to the deployment of 8,000 troops along the border as "Operation Faithful Patriot." 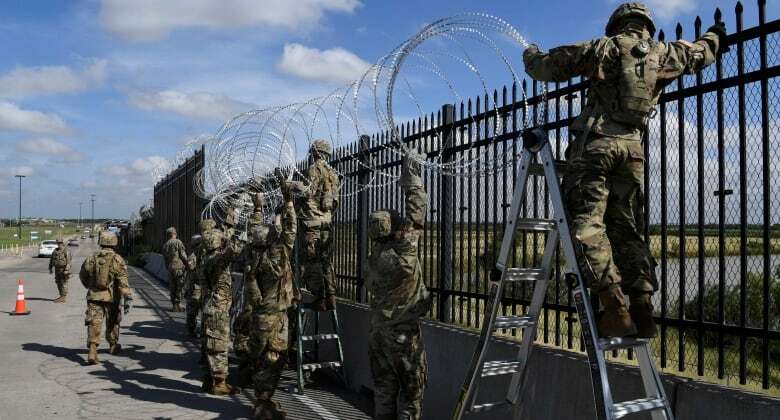 The massing of engineers, helicopter units, military police and public affairs officials is now nameless, referred to only as "border support." 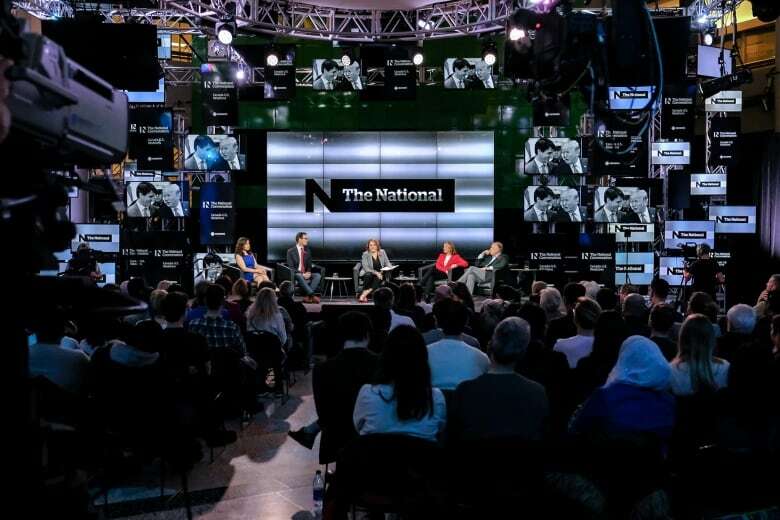 The National hosted a public forum Thursday night in CBC's Toronto studio, called The National Conversation, looking at U.S.-Canada relations. One of the more notable moments for senior producer Lara Chatterjee was an exchange involving Canada's Foreign Affairs Minister Chrystia Freeland talking about Justin Trudeau, Donald Trump and the issue of trust. "What my father taught me was to trust Canadians." That was the answer Justin Trudeau gave to a CNN reporter just a couple days ago when asked what he thought of his father's statement that people should trust others. It was a clever way to test the Prime Minister on whether he trusts President Donald Trump. Last night during The National Conversation, it came up again. 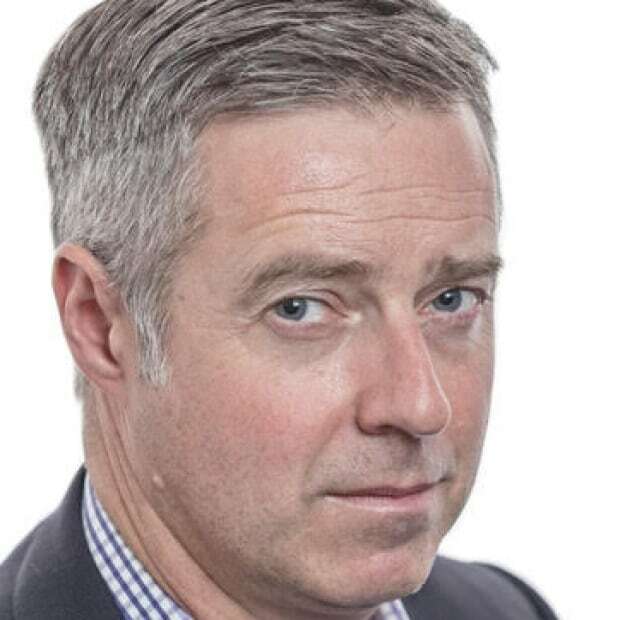 Aaron Blake, the senior political reporter at the Washington Post, took advantage of the opportunity to question Chrystia Freeland, Foreign Affairs Minister and Canada's direct diplomatic line to the White House, about Trudeau's response. "People like me look at that quote and say hey, you were drawing a line there between President Trump and Canadians. How are we not to take that as a suggestion that he does not trust President Trump?," Blake asked. "That's a question for the Prime Minister …," Freeland answered. "But do you trust him?," Rosemary Barton popped in. Freeland was cautious and careful, reaffirming the idea that the government trusts Canadians — no matter what the issue. It's something "we discuss a lot in our cabinet meetings," Freeland said. But that wasn't the question she'd been asked. So Barton took another route. Trust is a fundamental question when two countries are so inextricably linked. The United States is Canada's largest trading partner and its largest foreign investor. You've heard all the old adages — when the United State sneezes, Canada catches a cold. On the flip side, almost 9 million jobs in the United States depend on trade with Canada. After a contentious 13-month negotiation of the USMCA trade deal — which is not yet signed — the question of trust is a big one. That one moment was just part of last night's wide-ranging conversation between Freeland, top Washington Post journalists Aaron Blake and Karoun Demirjian, and CBC's Rosemary Barton, Adrienne Arsenault and Keith Boag. Fake news, the challenges to democracies, the twists and blind corners of the relationship between Canada and the United States in the wake of the midterms — there was a lot to talk about. You can watch more of The National Conversation tonight on The National on CBC Television, and an hour-long rebroadcast of the event on CBC News Network at 8 p.m. ET. Or check out the full livestream at cbc.ca/watch. Reporter David Common visited the site of Three Arms, a once-thriving Newfoundland town wiped out by the death of a single soldier an ocean away during the Great War. When I started out as a journalist, there were very few veterans of the First World War left. Today there are none, so understanding the long-term, reverberating impacts of the Great War is becoming more difficult. But the effects are still there, if you know where to look. They can be clearly seen at Three Arms, a once-mighty fishing town in Newfoundland. The Norris family ran the community — and all its businesses. Their schooners would unload hauls of fish into their cannery, while residents wandered in and out of their store. When the Norris' 24-year-old son was killed in battle in Europe, the family was devastated. His father retreated from the community and shut down the businesses, sealing the town's fate. Within a decade, most of the people were gone. Eric Moore's family was the last to leave. Somewhat incredibly, the 93-year-old recent recipient of a hip replacement came with us to Three Arms by boat. It will likely be his last trip home. "It's kind of sad now when you see it, compared to when it was alive," Eric told us. "It's dead now." The town is simply gone. The forest is creeping back over the foundations of buildings and the surrounding graves of Eric's predecessors. He'd love to have stayed in the town he grew up in, but there was no way for Three Arms to continue without the grieving Norris family. "It would have carried on. It could have carried on, God only knows." Rosemary Barton will host CBC's Remembrance Day special coverage on Sunday, Nov. 11. Watch the special from 10 a.m. ET to noon ET on CBC News Network across the country and CBC TV in Ontario, Quebec and Atlantic Canada. If you live in Manitoba or farther west, the special starts at 10 a.m. local time on CBC TV. Livestream it at CBCNews.ca, or on the CBC News YouTube, Facebook or Twitter pages from 10 a.m. to noon ET. Listen to the radio special hosted by Tom Harrington on CBC Radio One from 10:55 a.m. to 11:30 a.m. ET in Ontario, Quebec and Atlantic Canada. If you live in the Central, Mountain or Pacific Time zone, listen starting at 10:55 a.m. local time. 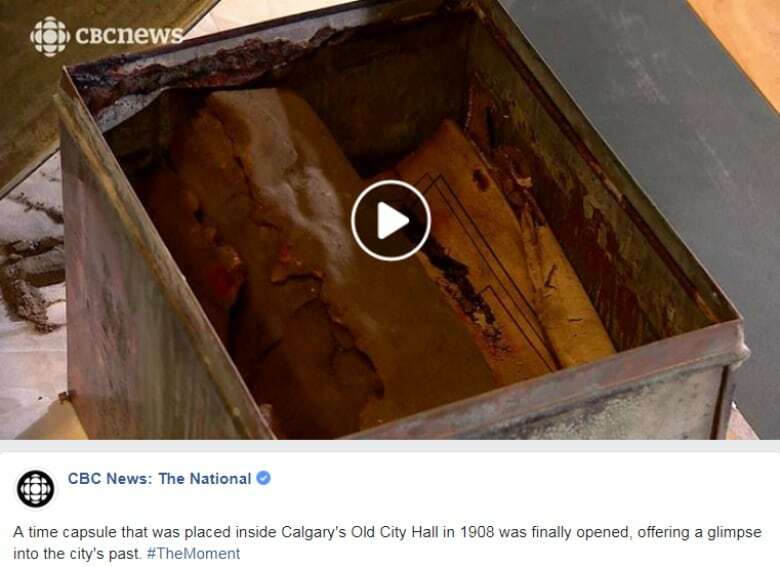 A century-old time capsule that sadly lacked a singing frog. The National's 'the moment' segment for Nov. 9, 2018. "I don't know what the police were doing — for a good two to three minutes they were trying to grab him, tackle him down, when a lot of people were screaming ... 'just f***ing shoot him, shoot him.'" - Markel Villasin, an eye-witness to a bomb and knife attack in downtown Melbourne today that Australian authorities are calling an act of terrorism. One man was killed and two others injured before police shot the suspect dead. The second "Black Tuesday" started at rush hour; a massive power failure that threw 30 million people in eastern North America into darkness. In New York, 150,000 people were stranded in the subway. Boston saw a major prison riot. And there were reports of widespread looting in the States. But the power came back on within a couple of hours in Toronto, and as Norman DePoe reports, the only real issues were traffic jams and "the wails of housewives who were trying to cook dinner on electric stoves."